Adam defeated fellow finalist Andre Reid in a closely fought match, eventually winning 10 – 7. Adam took an early lead, winning the first 5 points with quick succession, Andre fought back, bringing the score to 8-6. But in the end, with some impressive angles, Adam managed to seal the victory to take home the coveted TB10 Challenger Trophy and a year’s sponsorship courtesy of Wilson. The 2018 TB10 Challenger Series is a nationwide set of tournaments which ran from June to October at 32 tennis clubs, selected by Wilson. In total over 300 young people participated in the series from across the UK. The Challenger Series featured a tournament at each club for 14-15 year olds, based on LTA ratings of up to 6.2. 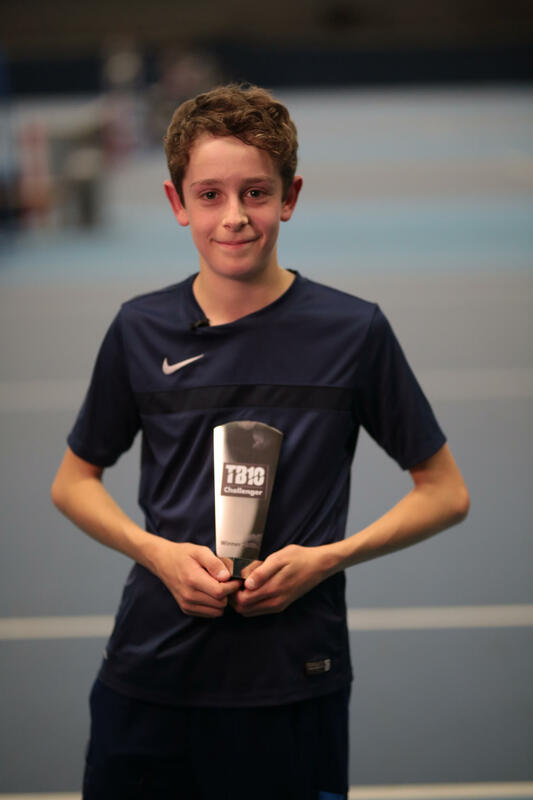 The winner and runner up from each club tournament went through to the final which were held at the prestigious National Tennis Centre in Roehampton, with the overall tournament winner receiving a year’s sponsorship from Wilson and the coveted TB10 Challenger trophy.